Puglia’s peak summer tourism season is off to a less than stellar start. Although bad weather as well as economic factors are affecting stays at the region’s resorts among travelers from within Italy, the international visitor market to Puglia is performing better, albeit not strong enough to offset the domestic slowness. That puts Puglia in a difficult position, as with many resort destinations that generate most of their tourism revenues from summer stays. Francesco De Carlo, regional president as well as president for Bari province of Assohotel-Confesercenti, an organization representing about 480 hotels, told La Gazzetta del Mezzogiorno that initial data shows that summer tourism arrivals so far are lower than expected, although the luxury segment of the market is performing well. Bad weather is one factor, he said, as “rain and clouds often have ruined” vacation plans, but he added that the situation is worsened by the inability or unwillingness of domestic travelers to pay the same rates paid for accommodations in years past. De Carlo told the newspaper, “Weather can create some more problems to (seaside) locations…We were ready, the beaches were clean, but the weather did not help us…Foreigners who had already booked destinations have not changed (their plans),” but many Italians have postponed or canceled their trips. This information highlights the necessity for any tourism destination, but Puglia in particular, to diversify its visitor industry so that problems such as bad weather at beach resorts or declines in the domestic economy can be offset by strong international traffic to locales beyond the beaches. The magnificent beaches of Salento and Gargano attract visitors from around the world, and that’s a huge boost to Puglia’s economy, but the region is fortunate to have so much potential to also generate significant international tourism arrivals with itineraries based on culture, history, art and food and wine. That potential can be realized when all parties, public and private, regional provincial and local, work together in a united effort to make Puglia a “must-see” destination. A very important blog has been posted by The Huffington Post that has significance for Puglia’s tourism future, especially considering that the region is home to three UNESCO World Heritage Sites and 28 Blue Flag certified beaches. The blog is titled “Third Party Certification Needed for Sustainable Tourism” and is written by Dr. Dave Randle, president and CEO of the WHALE Center, and Dr. Reese Halter, who is a broadcaster, conservation biologist and educator. What is “sustainable” tourism for Puglia? 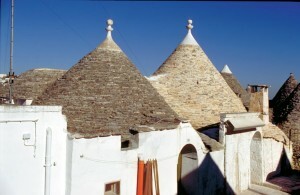 I often use the term “sustainable” tourism in regard to efforts to protect Puglia’s precious and priceless antiquities (its castles, cathedrals and other physical landmarks) as well as programs that seek to educate visitors about the region’s cultural heritage, particularly its place in world history. Just search “Puglia history” and you’ll see what I mean. If we want to preserve and protect these things, we have to get people interested in them. But to get them interested, they have to know about them. UNESCO does a wonderful job of helping to raise awareness of precious and even endangered places and cultures around the world through its World Heritage Sites program, including the three in Puglia (Castel del Monte in Andria, the trulli of Alberobello and Gargano’s Monte Sant’Angelo). Here’s where there is an opportunity for Puglia, within the public as well as the private sectors, to encourage tourism development that aims to educate existing and would-be visitors about the region’s incredibly diverse cultural attractions. 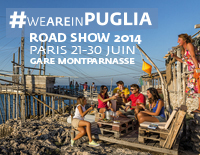 Develop awareness programs that let travelers with varied interests find out about Puglia. And they could even target overseas residents who are descended from Pugliese who left the region many years ago, usually for economic reasons. Many of them are curious about their roots, but need and want help learning and exploring. If we make it easier for them, they can help spread the word about Puglia’s heritage and help in preservation efforts. 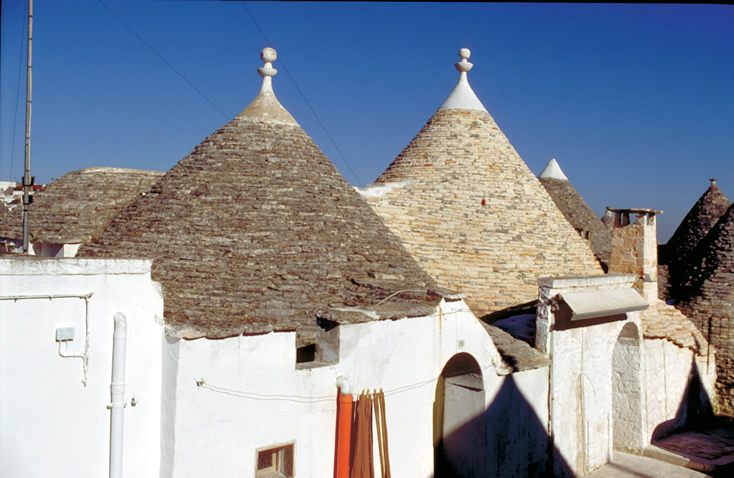 Photo: The trulli of Alberobello, a UNESCO World Heritage Site. You are currently browsing the Puglia Connection Blog blog archives for July, 2014.